Cleartec's outside fit round vinyl caps provide an attractive, inexpensive touch of quality to many types of packaging, while remaining tough and durable. 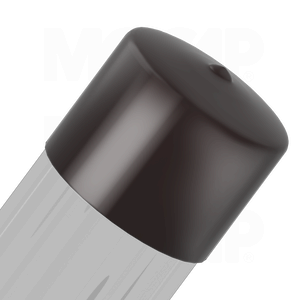 These caps are flexible, tight-fitting The vinyl caps can be used with our ultra-thin, thin, sealed bottom, and heavy wall tubes. 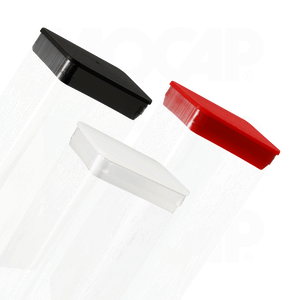 Although these caps are stocked in red and black, they may also be manufactured in a wide variety of colors to suit your application. These colors are shown for reference purposes only. Your monitor and settings can greatly affect the colors. If requested, we can provide a sample of a specific color for evaluation purposes. These durable, vinyl hanger caps allow you to display your products on a peg board hook or slat wall while offering excellent hold and product protection. The hanger caps are stocked in black, but are also available in a wide variety of standard colors, and can be used on our ultra-thin, thin, sealed bottom, and heavy wall tubes. Our Vinyl Hanger Caps are available for 1/2", 3/4", 1", 1 1/4", 1 3/8", 1 1/2", 1 3/4" and 2" nominal size tubes. 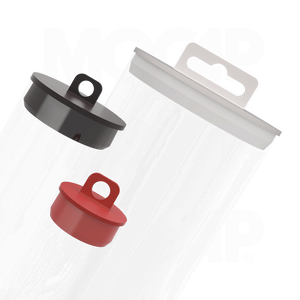 Our inner-fit polypropylene plugs, which are designed for use in our ultra-thin, thin, sealed bottom and hanging tubes, are stocked in red, black and natural colors. These plugs, which are easy to insert and remove, are suggested for lightweight or non-fragile items. Special colors are also available. 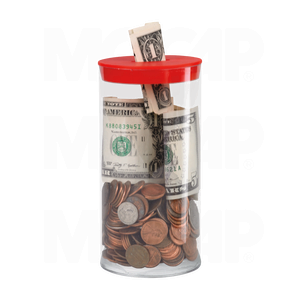 Our durable Plastic Coin-Slot Plugs, when used in conjunction with our SBT Series Sealed Bottom Tubes, create a donation canister that is the perfect choice for your fundraising campaign. The end plugs are the same as our PRP Series plugs, but feature a 1/4" x 1-1/4" coin slot. Available for 2-1/2" and 3" nominal size tubes. Cleartec Packaging currently offers a line of inner-fit polypropylene hanger plugs. 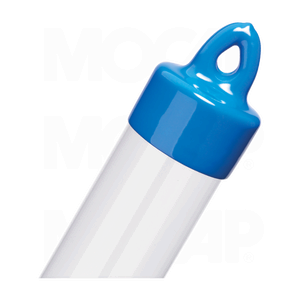 These hanger plugs, when used with our ultra-thin, thin, or sealed bottom tubes are designed to provide an attractive, low cost retail package. The plugs are easy to insert and secure once attached. Available for 13 of our tube sizes, the plugs are stocked in red, black in natural colors. Other colors are available if time permits. Available for 3/8", 1/2", 9/16", 5/8", 3/4", 7/8", 1", 1-1/4", 1-1/2", 1-3/4", 2", 2-1/2" and 3" nominal size tubes. 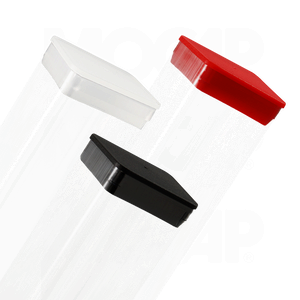 Our inner-fit polypropylene plugs, which are designed for use in our Square Tubes, and Sealed Bottom Square Containers are stocked in red, black and natural colors. These plugs, which are easy to insert and remove, are suggested for lightweight or non-fragile items. Special colors are also available. Our inner-fit polypropylene plugs, which are designed for use in our Rectangular Tubes, and Sealed Bottom Rectangular Containers are stocked in red, black and natural colors. These plugs, which are easy to insert and remove, are suggested for lightweight or non-fragile items. Special colors are also available. 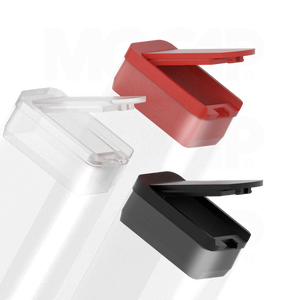 We now offer select sizes of rectangular inner-fit polypropylene plugs which feature a flip-top for easy access or dispensing. These are designed for use in our Rectangular Tubes and Sealed Bottom Rectangular Containers, and are stocked in red, black and natural colors. These plugs, which are easy to insert and remove, are suggested for lightweight or non-fragile items. Special colors are also available. 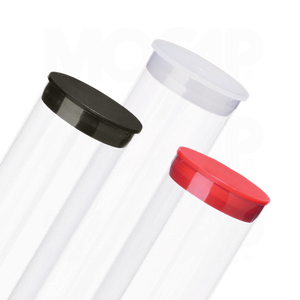 Our new line of Round Clear Caps are designed for use in our ultra-thin, thin, heavy, sealed bottom and hanging tubes. These caps, which are easy to apply and remove, are produced in clarified polypropylene and suggested for lightweight or non-fragile items when a completely transparent container is required. Cleartec is also able to produce blow-molded Candy Cane Toppers, which offer a unique holiday package. These toppers, which are easy to insert and remove, are suggested for lightweight or non-fragile items. Special shapes and colors may also be available. 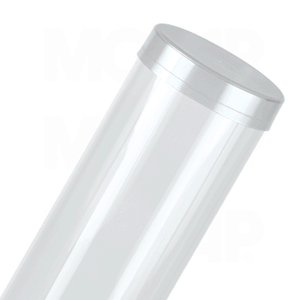 This item is designed to fit our 15/16" , 1-1/4", 1-1/2", and 2" Sealed Bottom Tube (sold separately).